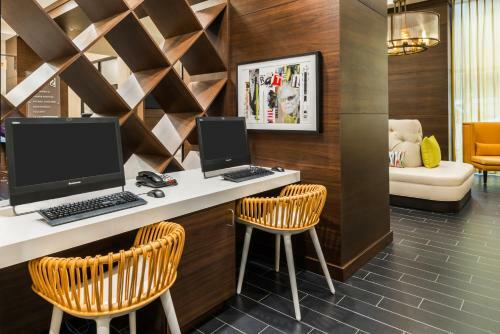 In-room kitchens a rooftop lounge free breakfast and Wi-Fi and a stellar central location sweeten the list of amenities at the non-smoking Home2 Suites by Hilton Atlanta Downtown. 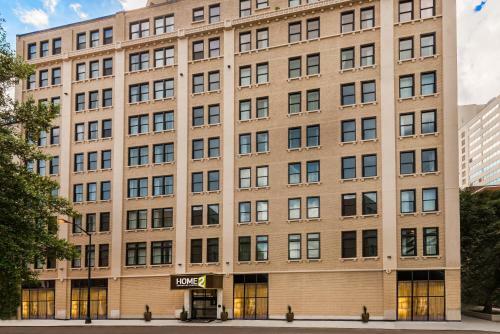 Set in a 1917 building with terrazzo flooring and marble stairs the nine-story Home2 Suites today offers 128 rooms with full kitchens free Wi-Fi and HDTVs. 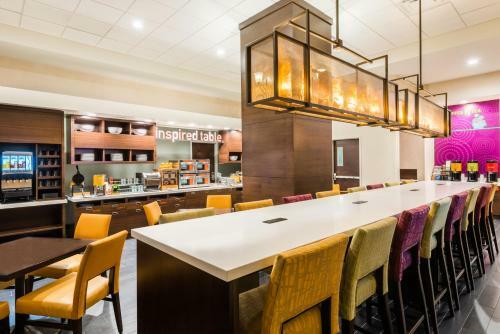 Each morning rise and dine on a hearty complimentary breakfast buffet. 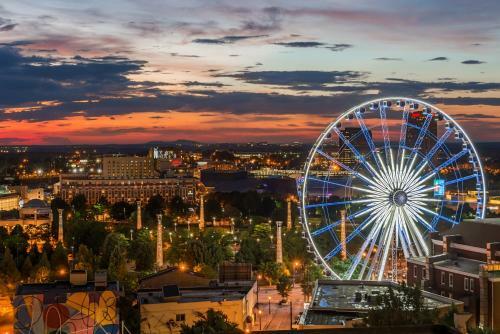 Relax on the rooftop patio overlooking the city. 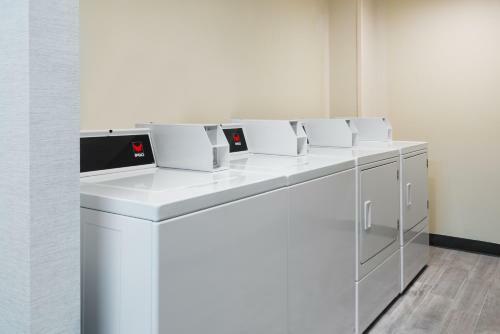 The hotel features a small shop free wireless printing and 24-hour business fitness and laundry facilities. 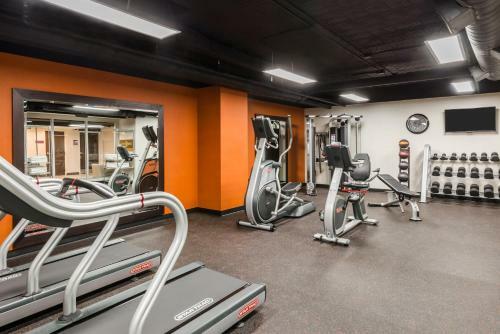 Pets are allowed and valet parking is available both for a fee. 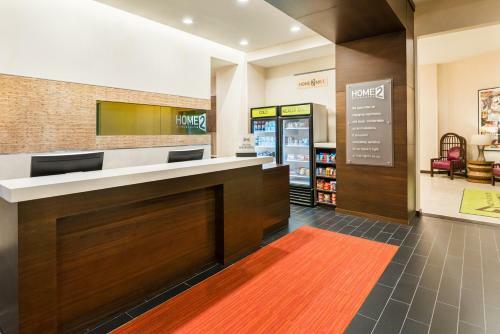 This Home2 Suites offers a downtown Atlanta setting within a five-minute walk of the CNN Center and Centennial Olympic Park. 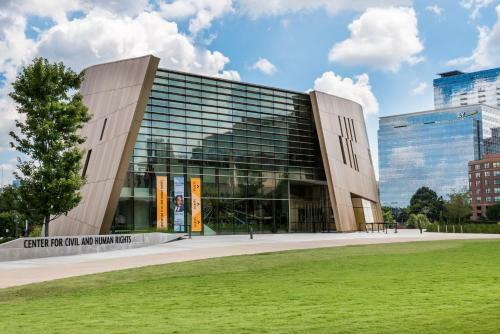 The Georgia World Congress Center is less than a mile away. 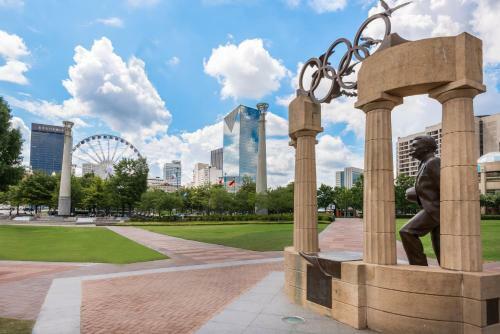 Guests are within a 10-minute stroll of the Philips Arena and the World of Coca-Cola. Hartsfield - Jackson Atlanta Airport is 11 miles south. 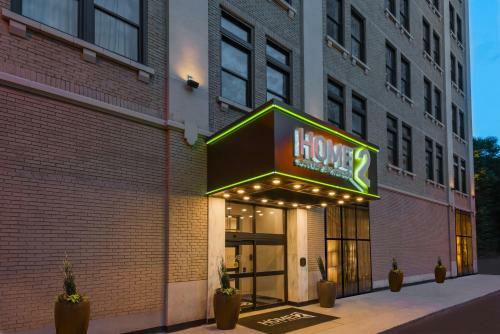 Add Home2 Suites By Hilton Atlanta Downtown to your free online travel itinerary.